As we sail around the mediterrean sea, visiting various ports of call, I'm drawn towards Israel. So much safer visiting the Middle East vicariously in books, exploring the past, the present and the future. 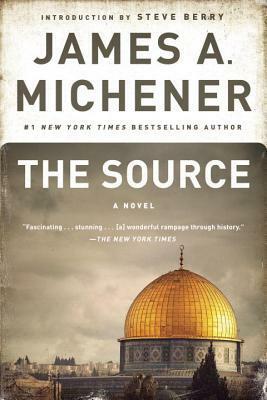 I currently have James Michener's The Source on my nightstand, calling my name. In his signature style of grand storytelling, James A. Michener transports us back thousands of years to the Holy Land. Through the discoveries of modern archaeologists excavating the site of Tell Makor, Michener vividly re-creates life in an ancient city and traces the profound history of the Jewish people—from the persecution of the early Hebrews, the rise of Christianity, and the Crusades to the founding of Israel and the modern conflict in the Middle East. An epic tale of love, strength, and faith, The Source is a richly written saga that encompasses the history of Western civilization and the great religious and cultural ideas that have shaped our world. Bodie and Brock Thoene take us step by step through the rise of world war II in Vienna in the 1930's through the late 1940's to Israel's Declaration of Independence in their historical fiction series Zion Covenant and Zion Chronicles. Beautifully written and powerfully poignant, once I started reading, I couldn't stop until I'd consumed the whole series. 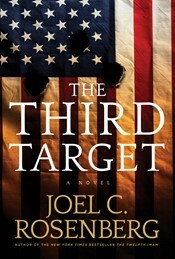 Also on my nightstand is Joel Rosenberg's political middle eastern thriller The Third Hostage, which my son immediately absconded with and once he started reading it, couldn't put it down. His stories are spine chilling, finger nibbling, good. Two Israeli authors currently on my wishlist are Amos Oz and AB Yehoshua, thanks to Eliana. 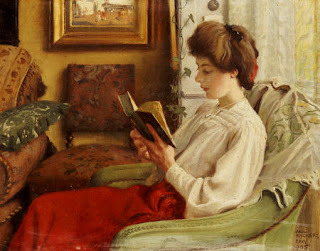 Check out Goodreads for the Best Middle East Non Fiction and Fiction as well as Historical Novels.com for Historical Novels of the Middle East.